To complete conceptual design and construction documents of a green infrastructure project at a busy intersection in Oakland near the University of Pittsburgh main campus. The intersection of Herron and Centre Avenues is a highly trafficked intersection with a known flooding condition. 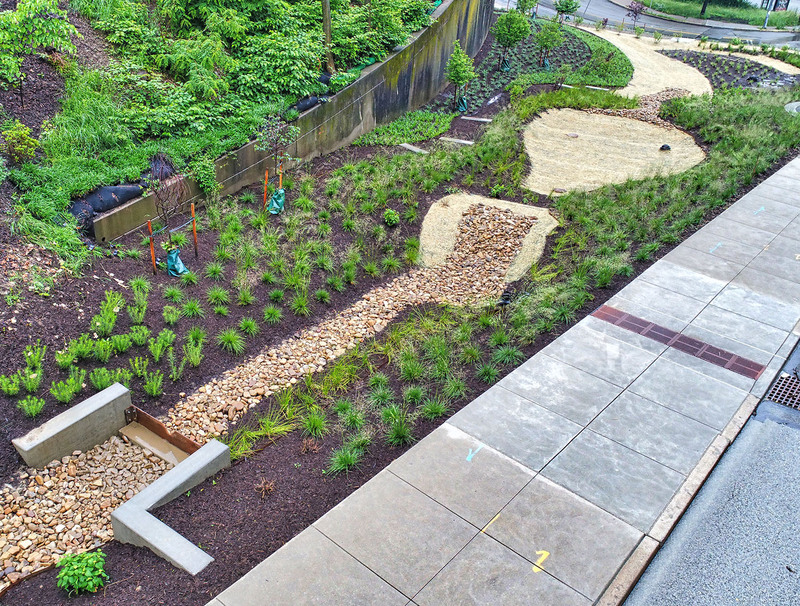 The Pittsburgh Sewer & Water Authority (PWSA) felt that this would be the prime location for its pilot green infrastructure project and retained AMEC Foster Wheeler (AFW) to spearhead this design. AFW retained Environmental Planning & Design (EPD) as the Landscape Architects to lead the conceptual design and planting plan. Centre Avenue is a steeply sloped street that parallels the study area and will provide a majority of the water that will be infiltrated within the landscape designed. The preponderance of pavement and lack of stormwater conveyance structures has created a situation that during heavy rains the Avenues become flooded to the point that it becomes impassable by vehicle. A piece of land bordering Centre Avenue was targeted by the PWSA as a viable solution to the flooding situation. 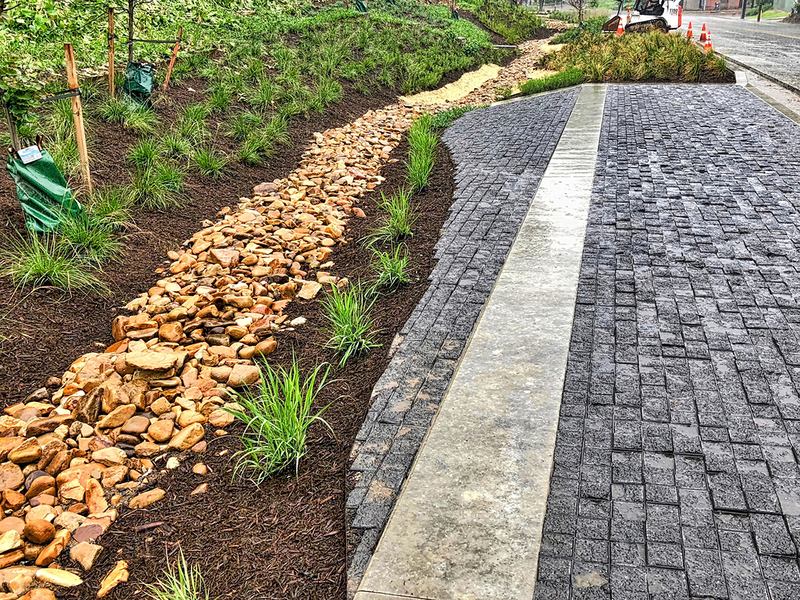 It is EPD’s task to create a visually stimulating green infrastructure corridor that will be both a design a dynamic landscape that will be the centerpiece of this neighborhood and functional method of stormwater management. 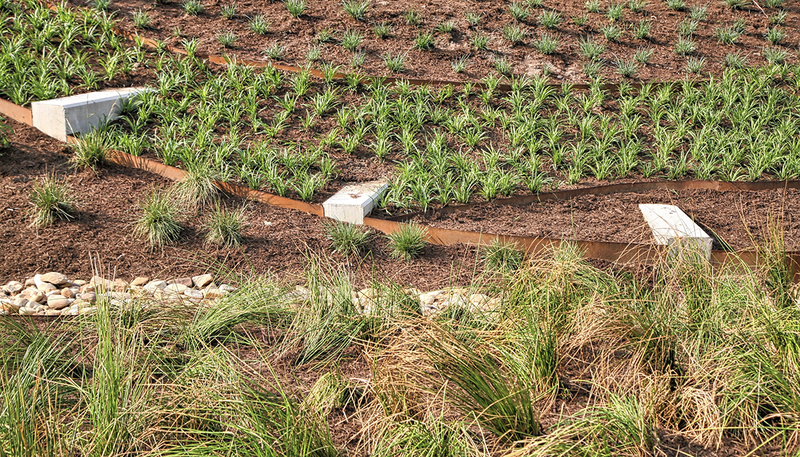 As part of this task, EPD relied on our expertise in native planting selection to complement the widely visible intersection with aesthetically pleasing plants that are also proven growers.